One of my sons has been sick with a stomach bug. 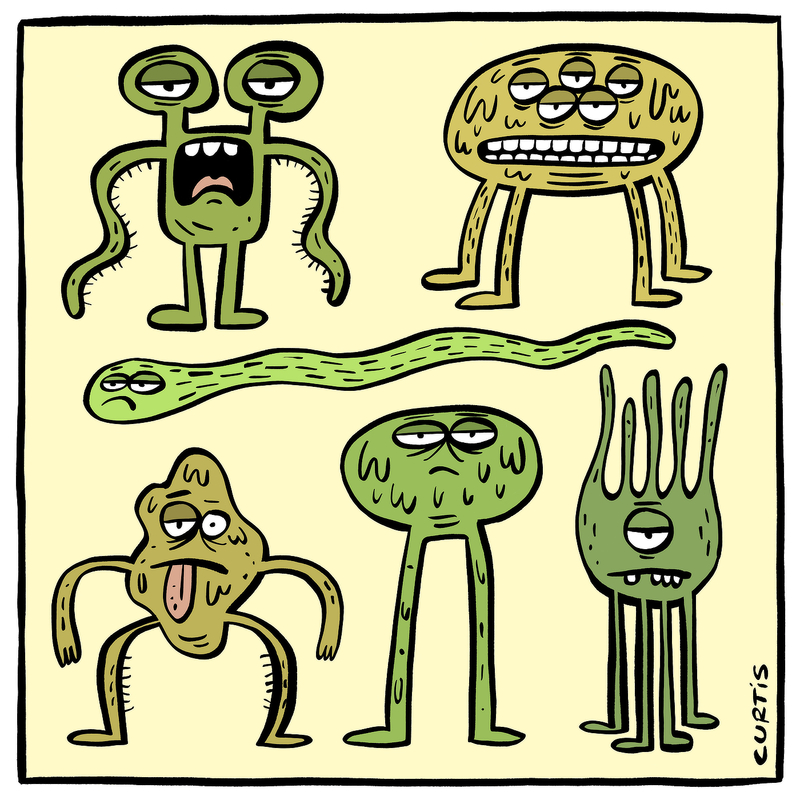 The endless hours of vomit inspired me to draw these germy guys. Some people take lemons and turn them into lemonade. I take barf and turn it into art.